WHY CHOOSE EVERLIT SURVIVAL FIRST AID KIT? 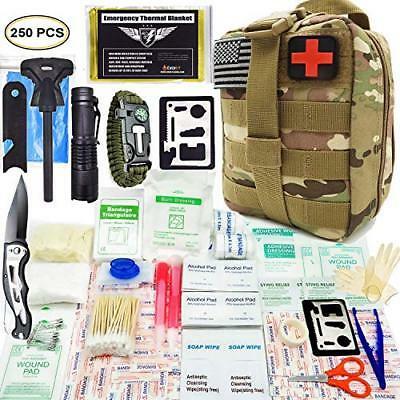 -A truly MUST-HAVE EDC First Aid Survival Kit that customized by U.S Military veterans and field tested by ex-Army Sergent. -Comprehensive and Multi-Purpose: Essential medical supplies and survival gears for ANY emergency needs. Perfect to carry during any outdoor activities or store at home, office, a car or boat. -Molle Compatibility: The kit can be easily attached to any bags using mole straps. Smaller than expected. All 250 items included though.